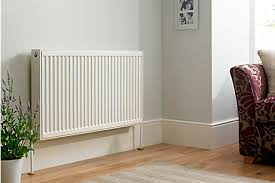 Abbey Boilers heating engineers are fully experienced and qualified to install all types of radiators. We operate in Horsham, West Sussex, Surrey, Brighton and Hove, and South West London. In a standard gas central heating system, you need a handful of radiators to distribute the heat to the different rooms of your house. The radiator is the last step when it comes to delivering heated air to you, so it has to be working at full capacity to get its job done. Radiators can last for a long time, but expert installation and maintenance is still a key component. We at Abbey Boilers, are able to supply and fit a large range of radiators, complete with valves, from the single towel rail to a full heating system each individually sized to give the perfect heat output required by you. When Should I Consider Replacement of my radiators? Most radiators have a long lifespan, but there does come a time when they must be replaced. As radiators get older, they become less efficient and end up costing you more money. When your heating bills continue to rise and the repair bills add up, replacing your radiators with newer, more efficient models is the way to go. Our qualified engineers will let you know if replacement seems like the best choice for your home.